A revisit of an old feature on L+U, investigations of materials for inspirational purposes. 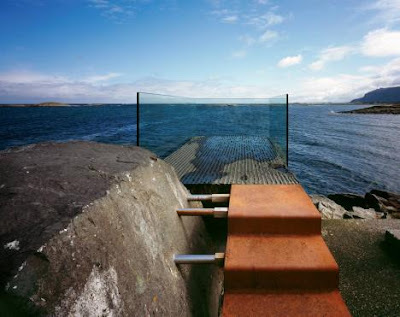 For starters, one of my favorites, the rusted metal of Cor-ten, weathering steel, or whatever you'd like to call it, a durable and wonderful addition to exterior projects in it's ability to blend with natural materials (landscaping, wood, stone) and more urban materials of concrete and glass. The following shows a display of a few projects displaying the wonders of rust. 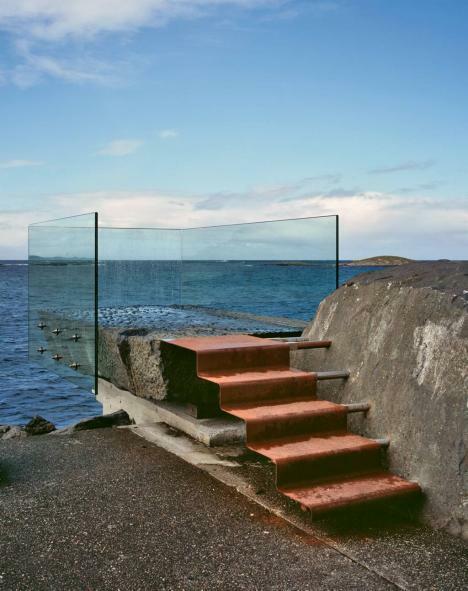 A simple installation for this exterior stair also shows the malleability of creating forms with metal for this Tourist route Atlanterhavsvegen by 3 RW Arkitekter.